I received some horrible news recently. One of the most amazing places I have ever been to has been shut off from the public. 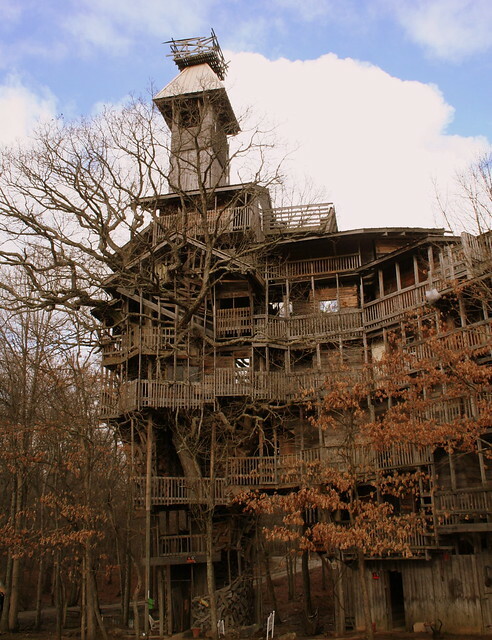 This is the Minister's Treehouse in Crossville, TN. It was made by a man named Horace Burgess, who inspired by God set out to create the world's biggest tree house, which he succeded in making 11 years later. I visited a few years back and it was one of the most amazing experiences of my life. 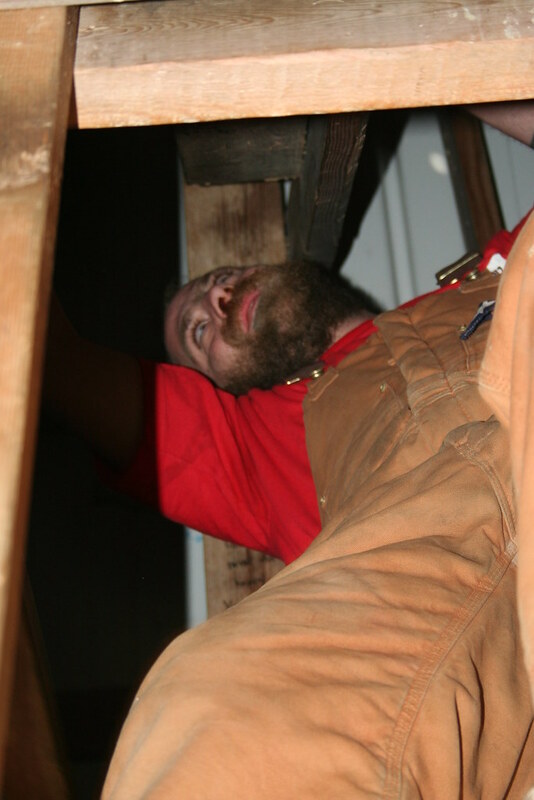 Maneuvering the tree house is like walking around in an M.C. Escher painting. There winding stair cases, trap doors and all sorts of hidden rooms. 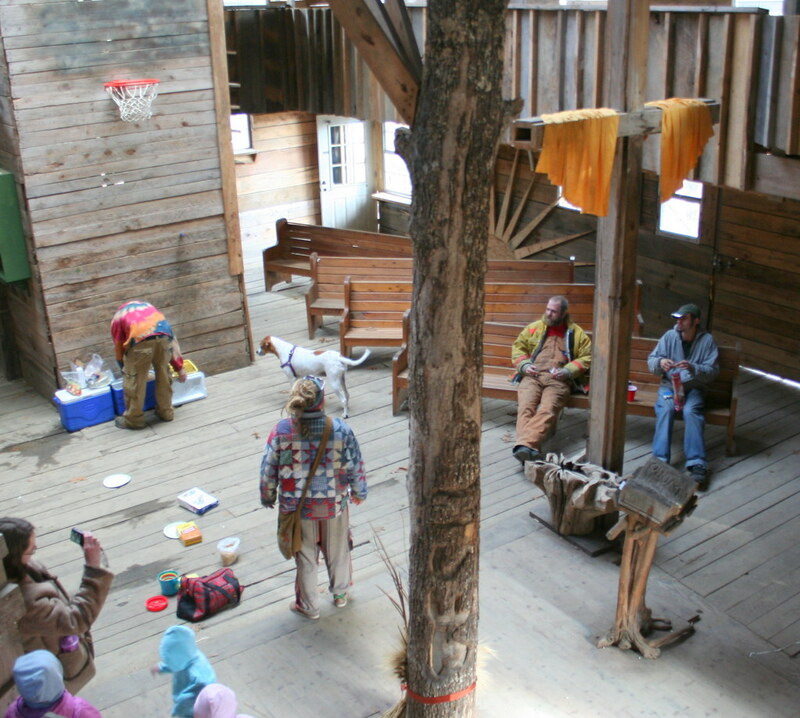 At the heart of the Treehouse is the Chapel, which doubles as a basketball court. Inside the Chapel I found a group of peaceful earthy people. There was definitely a good vibe emanating from this place. One gentleman who saw me taking pictures asked me if I would take a picture of him ringing the bell. He charged with me up the large winding staircase to the tip top of the treehouse and rang the bell which is made of old acetylene tanks. After ringing the bell he said, "Hey watch this!" He flipped open a secret trap door and vanished. I never saw him again. Another couple told me how they were married in this Treehouse and how they are always checking on it to make sure it is safe and clean. They also explained that Mr. Burgess allowed travelers to sleep in the Treehouse. 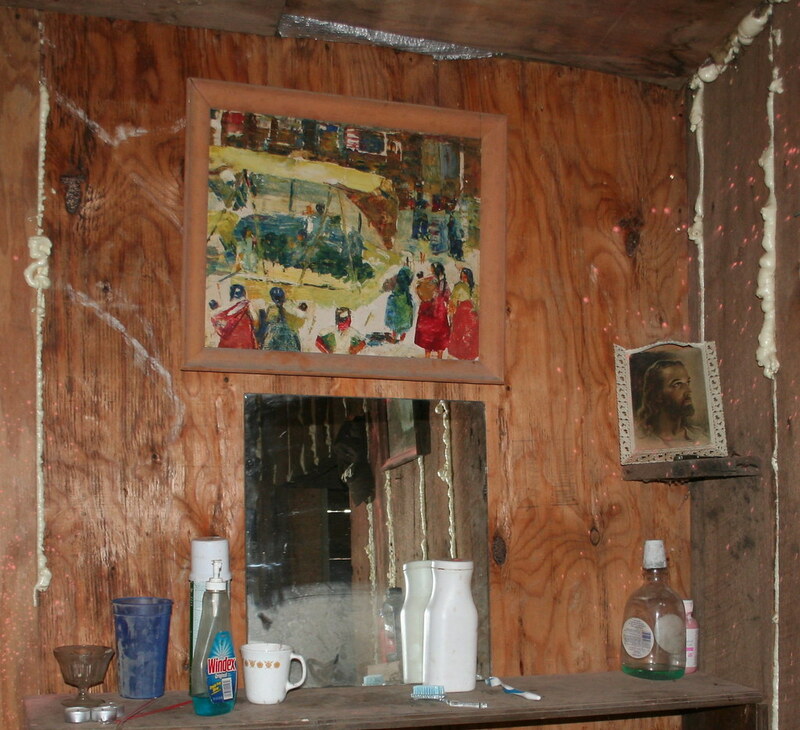 There was a small apartment in the bottom that was no longer occupied as the traveler had moved onto Florida. Recently the local fire department has closed down the Treehouse citing it as a fire hazard. Another example of small Government gone mad. I hate that we live in a world were fire safety trumps magic and whimsy. There is a online petition to reopen this fantastic place. Please sign it if you would like to see this magnificant place.